Dimensions: 10 ft. 1 in. x 8 ft. 4 in. 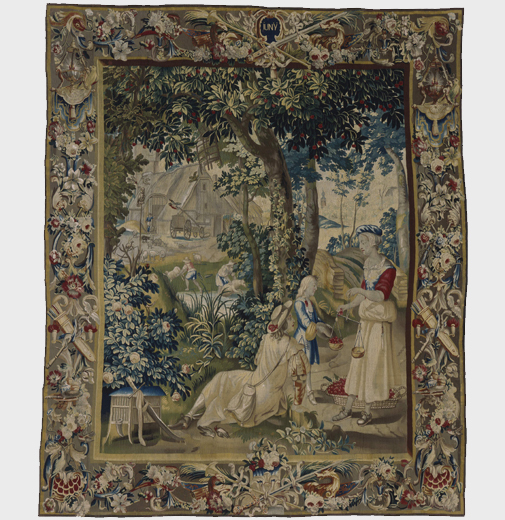 This tapestry originally came from a set of twelve hangings that depicted activities appropriate to each month of the year. 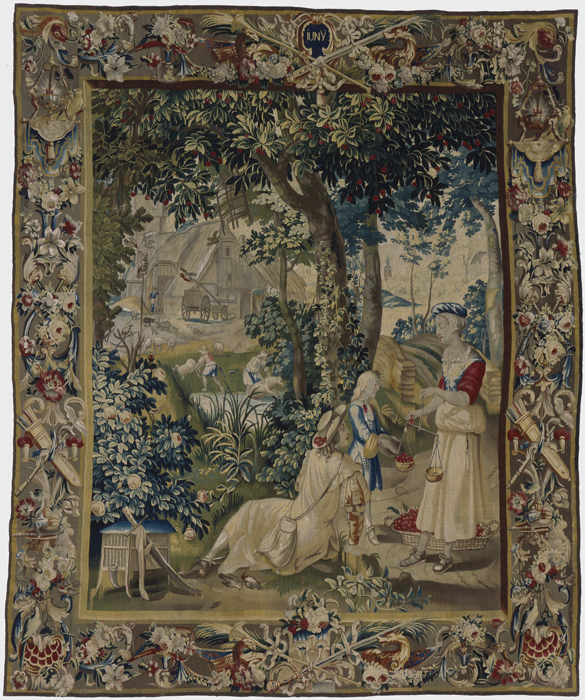 It follows a long tradition from medieval times onwards, in which the activities of peasants—be they farmers, vinedressers, rabbit hunters, woodcutters—or even gypsies were appropriated as a source of inspiration for tapestry designs. The lives of the peasantry—their work and play—were tied directly to the changing seasons. In these panels, however, the harsh reality of the worker’s world is replaced with an appealing bucolic existence.